I have been, over the last couple of months, reading a lot of books about the history of World War I – before, during, and after – and the last book I’ve read in this series so far gave intimate and detailed portraits of the four world leaders who were ultimately responsible for the Treaty of Versailles, which may have been the most-poorly and ignorantly (in some cases, deliberately) constructed end-of-war agreement ever made. There is no doubt that decisions made in the Treaty of Versailles – in many cases, arbitrarily and thoughtlessly – made the further destabilization of Europe, the rise of madmen to power like Franco, Hitler, and Mussolini, and World War II inevitable. Most modern historians characterize World War I and World War II as a single world war lasting 31 years, with four years of military action, 20 years of a fragile and volatile ceasefire, and seven years of military action to end it. As you understand the history between 1914 and 1945, that characterization makes the most sense. 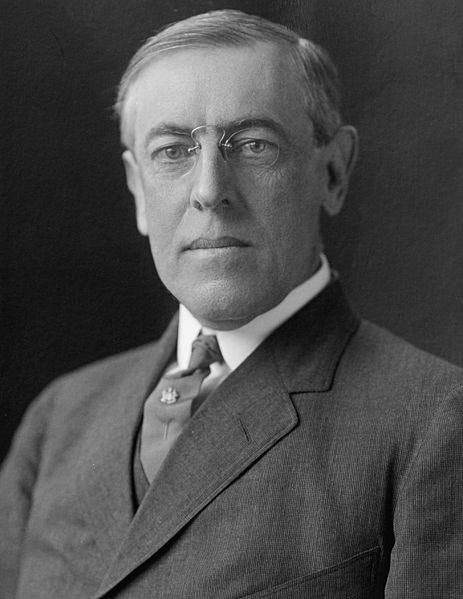 One of the four leaders responsible for the Treaty of Versailles was United States President Woodrow Wilson. President Wilson, who had been diagnosed with arteriosclerosis in 1906 (six years before he became president of the United States in 1912) as a result of chronic hypertension, was already showing signs of vascular dementia (his physician first noted episodic dementia in 1917) by the time he was involved in constructing the Treaty of Versailles in 1919. Understanding that President Wilson had already embarked on his dementia journey explains his otherwise inexplicable words and behavior during the process of creating the treaty and his inability to focus on anything but what he really wanted, which was the League of Nations. He had no real plan for how this body, which was the precursory idea that eventually led to the formation of NATO, and never could quite get a handle on any real details, but his goal was to see this internal governing body formed. His single-minded focus on the League of Nations as the outcome of Paris in first six months of 1919 made him incapable of really focusing on and truly grasping the important matters at hand, leading to some of the really bad and/or ignorant decisions in the Treaty of Versailles. President Wilson displayed many of the classic signs that indicated he was already progressing through the steps of the journey of dementia, including volatility, ranting and raving, sudden anger at lifelong friends and trusted advisors, paranoia, unreasonability, and memory lapses. 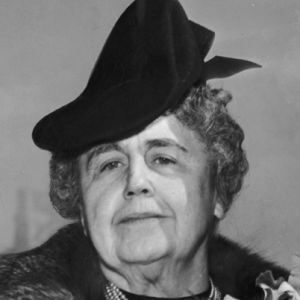 President Wilson had at least two minor strokes (covered up by his physician and his wife, Edith Wilson, as all his future health problems would be) during this six-month period, which further exacerbated his dementia and the behaviors associated with it. Unable to get the United States Congress to support the League of Nations after he returned home from the Treaty of Versailles, President Wilson, whose mental decline was progressing rapidly, could not be persuaded by anyone not to undertake a grueling schedule – speaking and traveling – by a cross-country train trip to take his case to the American people. Almost a month into the trip, President Wilson suffered a massive stroke from which he never recovered. For the next 17 months of his presidency, his wife, Edith, essentially ran the country, while President Wilson was bed-bound, cognitively compromised, and hovering near death at times. President Wilson suffered another massive stroke on February 3, 1924, resulting in his death at the age of 67. Wow, it makes a person wonder how this country survived all these people in power who were ill and those who had dementia. They certainly made a mess of a lot of things. Somewhat depressing to go back and read history and find all these somewhat secret things that caused history to change for the worse. Thanks for sharing this information. Very good post. I agree. Much of the behind-the-scenes details of history and the people who made it is available through studying and reading extensively (I wrote a post on one of my other blogs about why this is so important: http://quintessentialldr.com/2015/10/30/quintessential-leaders-never-stop-learning-and-educating-themselves/). Unfortunately, society in general has eschewed the idea of educating themselves and has swallowed what they’ve been fed through sanitized and erroneous formal education (history textbooks in all levels of education are full of misrepresentations, at best, and lies, at worst) or through biased media sources. As a result, we are, in general, collectively, dumbed-down, ignorant, and clueless as to the big picture of how we got from there (the past) to here. Ironically, it’s this general population that speaks the loudest and the most often, putting their ignorance in the spotlight. One of my missions in life is to combat that dumbing down, ignorance, and cluelessness. Again, it seems to be the mission of a salmon swimming upstream against the tide, because it seems most people cherish and prefer the ignorance that fits their own ideas and opinions instead of the truth. I agree. Like the salmon swimming upstream against the tide. Mankind is so wrapped up in their own lives and cares nothing for anything important. The stupidity of mankind saddens me deeply. Not a nice way to put that I guess. Keep up your good work. I try hard to get people to realize what is the truth and what is important. More and more, people don’t want to know the truth about anything because it means they can’t hold on to their ideas and opinions, which they have exalted above truth. We must, as individuals, though – you and I – never let let go of the truth about everything. Even if it hurts. Even if it’s inconvenient. Even if it means we’re wrong. And even if it means we have to change. All we take from this life is our character and truth is the cornerstone to excellent character. Once we give up the truth or compromise with it, we have lost our character. That’s what matters to God and that’s what matters to me. Even if it means I’m standing all by myself on this planet, as it seems I am more and more as time passes. Good comments. There are others who are standing with us, I know a few. So, do not feel totally alone.I will say people better be paying attention to what matters to God, that is #1 on my list.